Browsing history does slow down the performance of your iPhone to some extent. Nevertheless, another danger is that someone might see what you have browsed. You surely do not want that to happen. Due to these reasons, it becomes quite necessary that you delete browsing history on iPhone from time to time. The following will discuss the issue in some more detail. How to View Your Recent Browsing History? There are a couple of ways in which you can view your history on an iPhone. First one is to simply launch the Safari app. On the top, in the Safari Toolbar, there will be a back button. All you need to do is tap and keep holding this button until the browsing history appears. The second way is to do it through bookmarks. Tap on the bookmarks icon on the top left corner of the app. From there you can tap the History button and you will be able to see whatever you have browsed. 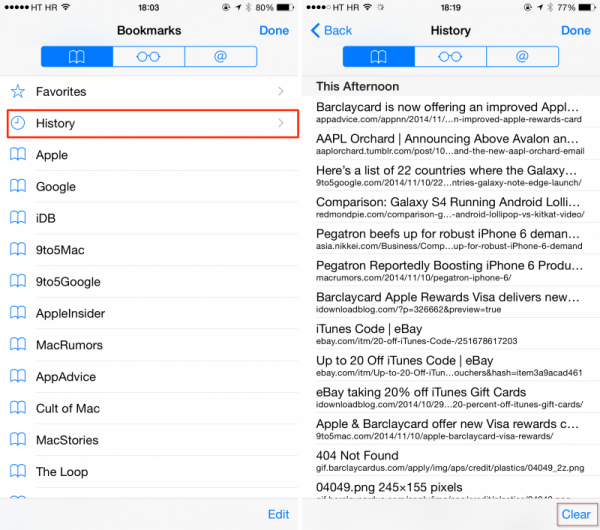 How to Clear Browsing History on iPhone? So there are a number of alternatives in terms of the ways in which you can delete your browsing history. It all depends on your personal preferences. These methods are mentioned here. The easiest way to delete history is using bookmarks. This is useful if you want to delete only some specific websites rather than the whole lot. So all you need to do is open up Safari. On top left corner, tap the bookmarks icon. From the menu that appears, tap History and all the websites that you have visited on your iPhone will be displayed. From there you can simply swipe left on the website that you want to delete. You can then simply select Delete to remove the relevant website. However, if you are a chrome user then you can delete the history by using the Settings menu of the browser itself. All you have to do is launch Chrome and simply go to the menu at the top right corner. From there tap settings and scroll down. Tap “Privacy” and in the menu that comes after this, tap “Clear Browsing History”. After that, when it asks for confirmation, tap “Clear All’ to get rid of all the browsing history. Lastly, you can use the iOS Settings app to delete history. Open the Settings App and select Safari. Then tap “Clear History and Website Data” and make sure you have the restrictions passcode for confirmation. Once you confirm, all browsing data will be removed. Although you can use the aforementioned methods to delete browsing history from iPhone, it may still not be safe to assume that you are protected. The history thus deleted can still be accessed with the data recovery software. Therefore it is important that you erase all the data completely. This will ensure that no private information is leaked and that you remain secure. 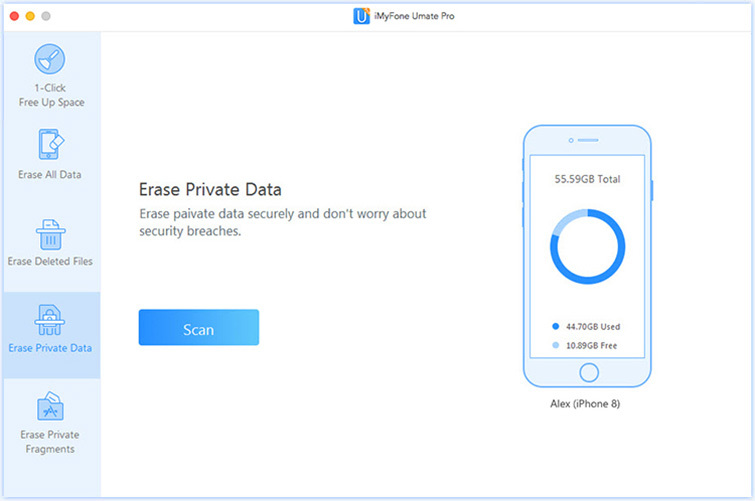 iMyFone iPhone Data Eraser or iMyFone iPhone Data Eraser for Mac is your true companion when it comes to erasing data for various purposes. 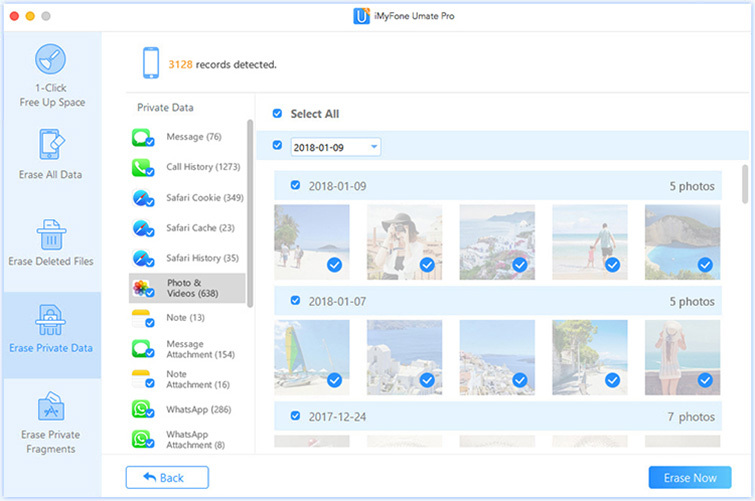 Whether it be for securing yourself from any privacy leaks or simply because you want some extra storage space, iMyFone Umate pro is there for you. It has a very user-friendly interface and has several different methods of erasing data. Furthermore, you can also use it to compress photos and large files in order to save space. Two of the functions that are relevant to clearing browsing history are mentioned below. Erase Private Data: This means you no longer have to worry about having your privacy leaked or your private data getting in the wrong hands. The feature allows you to select files individually so that you only erase the ones that you think are private. This ensures that only the relevant files get erased while other important files are kept safe. Erase Deleted Files: This is a very useful feature as it allows you to permanently erase the files that you have deleted using the conventional methods. This is because the data that you normally delete can be easily accessed using various data recovery software. Therefore, in order to be completely safe, you need to eradicate such files completely. iMyFone Umate Pro allows you to do just that. In order to use Umate Pro to erase permanently iPhone browsing history, you need to follow the steps mentioned below. 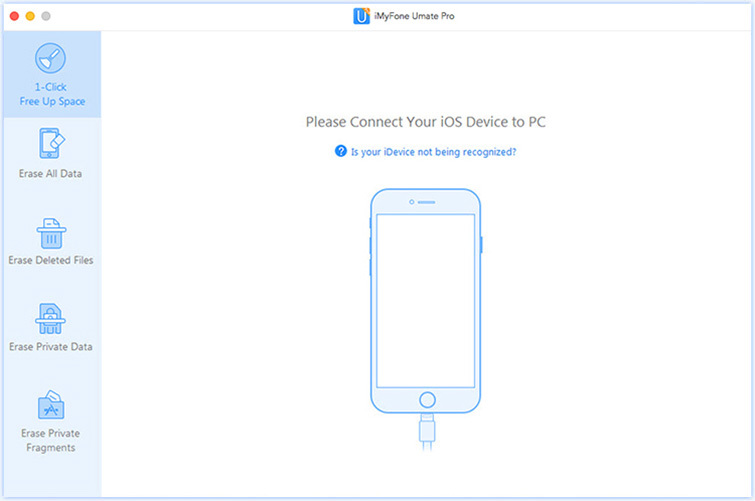 Step 1: Connect your iPhone to the computer and launch iMyFone Umate Pro. Step 2: Select the “Erase Private Data” option and then select Scan. Step 3: Once the scan is complete, the software will display all the files that might be deleted. From here you can select the ones that you think are private. Step 5: Now turn to the “Erase Deleted Files” option, and repeat the last 2 steps again.